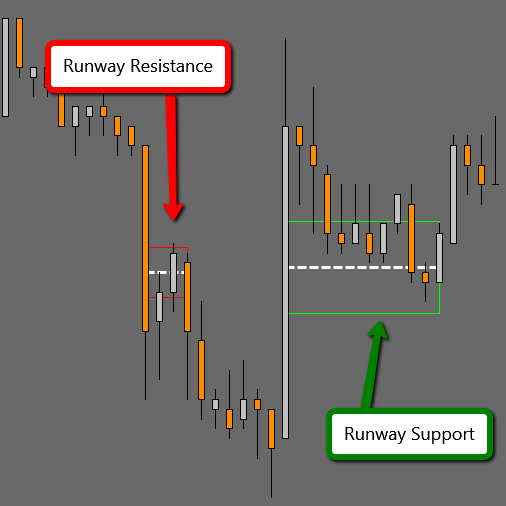 Runway is a fully automated market structure and momentum based support and resistance tool. 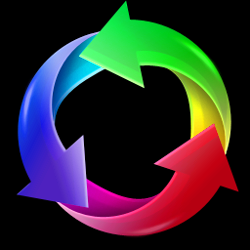 It allows traders to see in advance where the market may slow, stop or reverse! 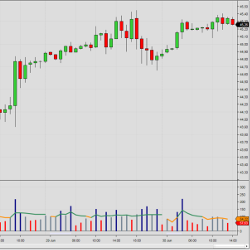 Quickly identify entry location zones in over 40 futures and 100’s of equities! Get your FREE indicator! Simply sign up for our newsletter. 3-Trends filters the data in 3 different frequencies to provide you with fast, medium & slow trends. It detects trend changes faster than other trend indicators and provides a trailing support/resistance level to base trades off of. TradingCoders offers conversion services between NinjaTrader 7, NinjaTrader 8, MetaTrader4, MultiCharts.NET and eSignal (among others). Have your NinjaTrader indicators or strategies converted from NinjaTrader 7 to version 8, or move your formulas to NinjaTrader from another platform! 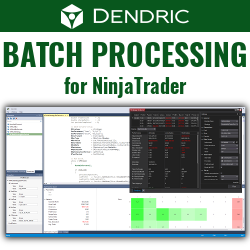 A new and unique tool for batch processing for NinjaTrader! Dendric runs optimizations in NinjaTrader in an unattended manner. Set any combination of strategies, markets, periods or any factor you want to test and get the reports. Try Dendric for free today! Backtest any trading system ever invented ranging from a mechanical system (MA Cross) to a discretionary system (Elliot Wave). The backtesting tool has built in statistics calculations, as well as an easy-to-learn logging system. It works on Futures, Forex or Stocks. 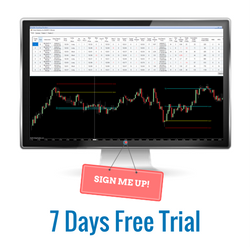 Grab a 7-day free trial now! 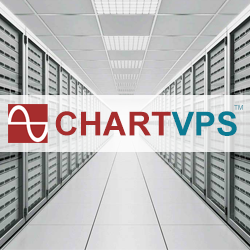 ChartVPS provides high-end virtual private servers (VPS) to traders, enabling them to automate strategies & securely trade from any device, anywhere 24/7. Our servers & network are built specifically for trading & NT platform, ensuring compatibility, ultra-low latency & smooth operation. Take trendline trading to a new level with the TrendlineProTrader, developed with your favorite trendline tactics including: horizontal, diagonal, channel OCO, and breakout-pullback. 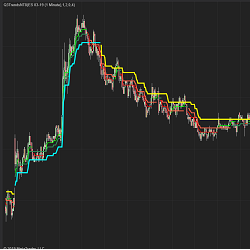 It includes automated trade management and traders can use their own indicators. See TrendlineProTrader in action! The Relative Volume indicator identifies high/low volume bars by comparing current volume against the average volume over the same period during the preceding days/weeks. Want to hold on to trades longer? 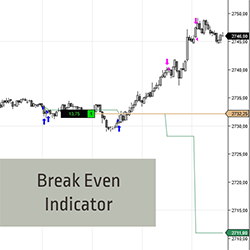 The Break Even indicator calculates profits taken into the average price of the remaining position. 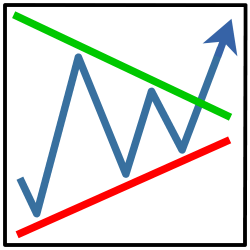 See the Break Even line move away from price & gain additional confidence to remain in your trade! It works for both long & short trades. Start your 2-week trial now! 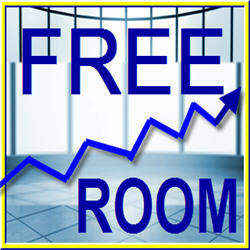 The NinjaTrader User App Share includes 100s of FREE TO USE apps & tools built by the user community. NinjaTrader is always FREE to use for advanced charting, strategy backtesting and trade simulation. Personalize your NinjaTrader software with custom trading indicators, signals and strategies. Don’t Miss a Thing - Join the Ecosystem!